Trade the busy streets of Tampa for relaxing inshore waters on a half-day fishing charter, which begins at a time that works for you. Leave your tackle box at home, as your exclusive experience comes with all necessary equipment, including rods, bait, and safety gear. 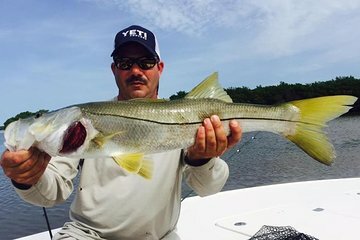 Let your private captain lead you to the best fishing spots, where you can find tarpon, snook, sheepshead, pompano, and much more.